Long Established Pizza Place Priced to Sell Fast! 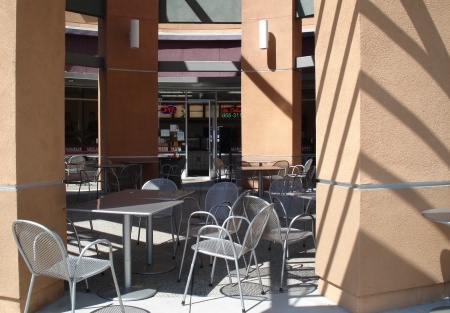 Selling Restaurants presents this Pizzeria located within an inviting and fantastic looking plaza which features indoor and outdoor seating for guests. The restaurant is situated within a food court setting which draws customers during lunch time and weekends. The owner has really started to tap into the real potential here within the time he has owned it. The seller would love to continue to operate this restaurant, but an ill family member outside of the country is forcing him to relocate and sell this opportunity very fast! If your looking for a motivated seller, a great location, and real potential, this is it! Monthly rent is only $3,121.38 + NNN for 955 square footage which are reasonable terms for a food court location. Landlord has stated that a rent reduction can be negotiated. The lease allows the sell of beer and wine for on-premises consumption. Visit the location today! Take the next step and select one of the bright orange buttons below the listing. Then select the "New registration" Button. When you register, you get the name and address right on-line - no paper or faxes - you'll also get priority notification of our new listings in the future, prior to the general public, giving you the best chance to �scoop in� the best opportunities. There are also more photos available to our registered buyers. This is a Business Intermediaries, Inc. listing.